Ervaar een heerlijke Pranic Healing behandeling voor diepe ontspanning of om jezelf op te laden. Ook behandelen we specifieke gezondheidsklachten. De behandelingen op deze dag zijn als kadootje voor alle bezoekers bij Saktiisha. Je kunt jezelf inschrijven bij de receptie. 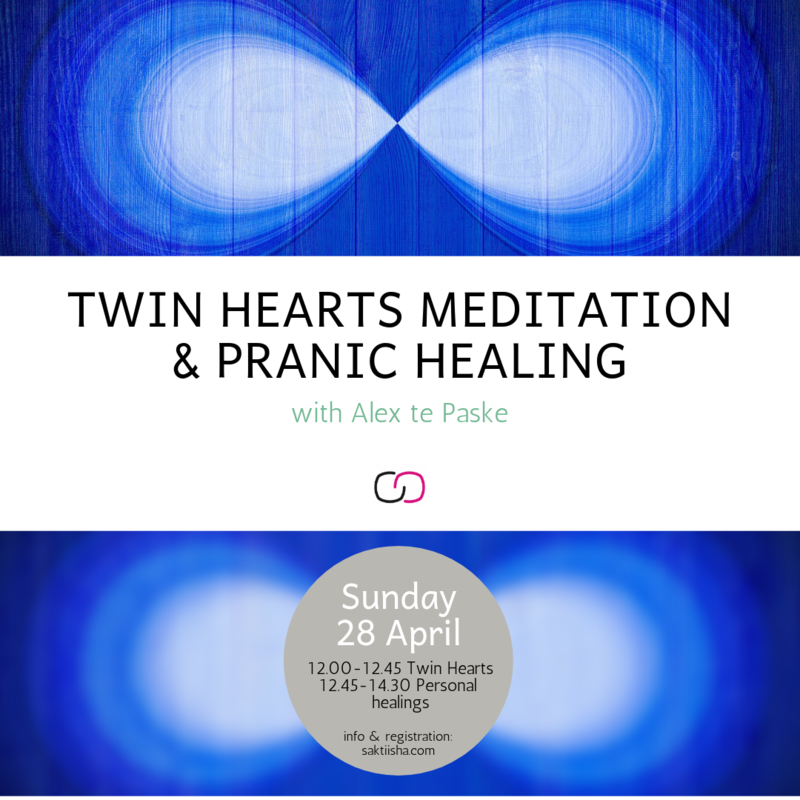 The Twin Hearts Meditation is a wonderful meditation to release stress, gloom and negativity in a short time and to transform it into joy, happiness and inner peace. The Twin Hearts meditation uses the heart chakra and crown chakra to send loving energy to every person and being. Hereby we use, among other things, the prayer of St Francis of Assisi. After blessing, we meditate on the mantra "OM", a beautiful light and the inner silence that arises. We regularly organize Pranic Healing workshops and meditations at Saktiisha. For more information, visit www.healingmiracles.nl. Experience a wonderful Pranic Healing treatment for deep relaxation or to recharge yourself. We also treat specific health complaints. The treatments on this day are as a gift for all visitors at Saktiisha. You can register at the reception.